The GOP is all about the USA. 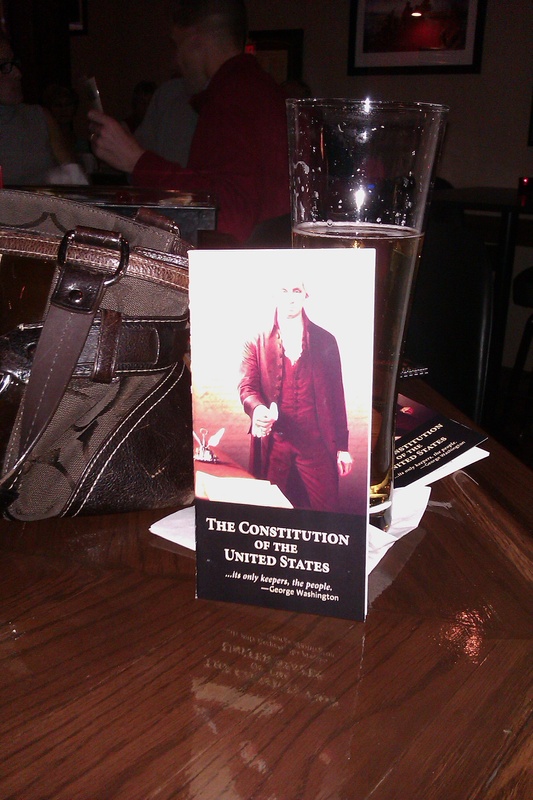 They hand out pocket-sized copies of the Constitution. Beyond early American history, they’ve added a contemporary element by displaying portraits of every American President. They have an entire wall dedicated to the heroes of 9/11. Even the typical bar paraphernalia has a decidedly American theme. Instead of the normal beer signs you see at most bars, the GOP has a group of Budweiser mirrors, each dedicated to the major branches of US military service. 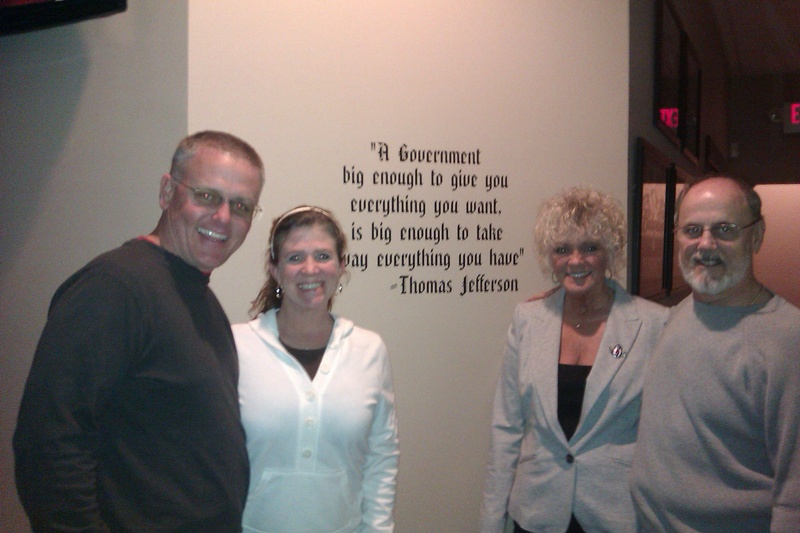 We arrived at the GOP at around 7:00 PM. The bar and restaurant were busy, but not enough to have to wait. The crowd seemed a bit light for a Saturday night so we asked Bill Langdon about his marketing plans. He was quick to point out that they opened with a soft launch instead of a major grand opening. They wanted to make sure their food and service met their expectations before they started really marketing their concept. They may not get much choice in the matter however. Two of the local news networks were broadcasting live from the GOP on election night. That garnered attention from the national news and has been reported by TV affiliates from Maine to California. The Langdon’s told us that most of the food is made from Pat’s own recipes. We sampled several items including the hankee pankees, chicken wings, and gumbo. It you’ve never had them, hankee pankees are made from a mixture of beef, breakfast sausage, and cheese. The mixture is plopped on tiny pieces of rye bread and toasted in the oven. Delicious! The wings were good but not great. They were breaded (not our favorite) and small. On the positive side, like everything else we tasted, they did come out piping hot and the sauce (garlic buffalo) was very good. The gumbo was fantastic. It’s made with pulled chicken and two types of sausage and served over rice with sour cream and crackers on the side. It was served in a huge bowl and the portion was so big we had trouble finishing it. There’s an old expression that it’s more fun to eat in a pub than drink in a restaurant. The GOP is no exception. It’s an excellent bar, with tons of big flat screen TV’s and comfortable furnishings. 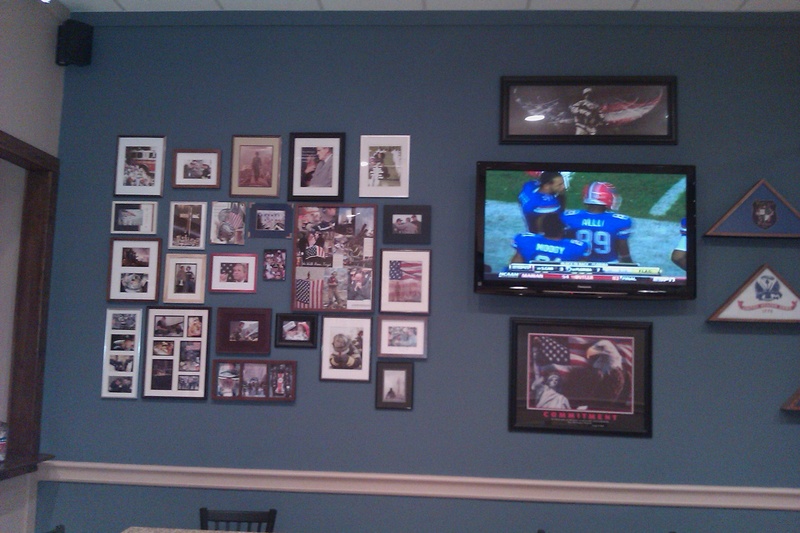 Most of the TVs were split among several college football games however a few were dedicated to the Fox News Network. 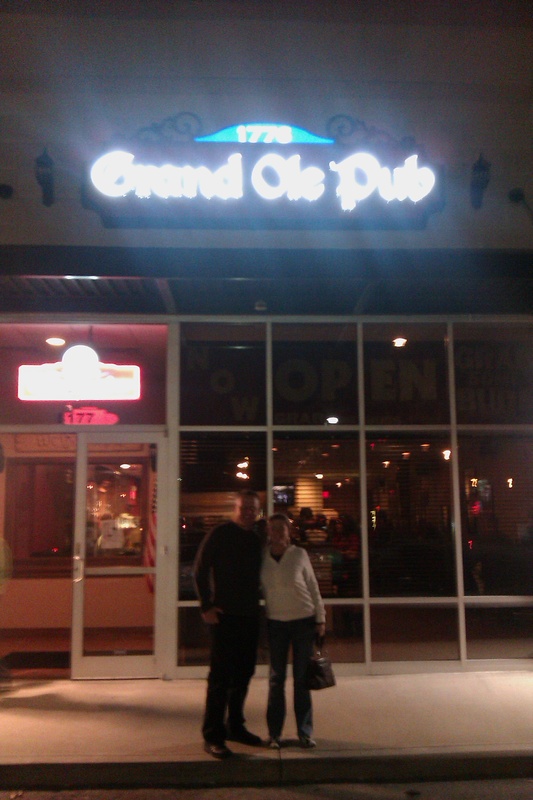 The Grand Ole Pub offers a great selection of draft and bottled beer, wine, and spirits. They even serve our favorite, American Honey. It’s Wild Turkey infused with honey and maybe the smoothest sipping liquor available. We asked Bill if he thought other “American pubs” might spring up as a result of their efforts and all of the exposure. He seemed to think it was possible. We then asked the follow-up question: did he plan to expand, or even potentially franchise the concept. He didn’t rule it out but remains focused on the success of this location. Based on our experience, we have no doubt Bill and Pat Langdon have a winner on their hands. If you live in Cincinnati, or have the opportunity to visit, we recommend a trip to the Grand Ole Pub, West Chester’s newest party headquarters.